I will miss Jeff Bridges. That sounds a little more despondent that the situation actually is. Yet, it is the thought that everyone will die that crossed my mind as I watched the film. Yes, he is at the peak of his career in many ways. Continuing from the roll that he was on last year with ‘Crazy Heart’, he has continued to pick his roles wisely. ‘True Grit’ is a film near or at the top of the American box office, depending on the time you read this review. Blockbuster-wise, his career was not at all harmed by his involvement in ‘Iron Man’, and his appearance in ‘Tron’ years ago also continued on the theme of his roles being wisely chosen. Recently, I finally got round to watching ‘The Big Lebowski’, where his portrayal as the Dude garnered many acclaim over many years; I find myself just laughing or smiling at his escapades. I find his is a spirit that is difficult to resist, and that is why I will definitely miss him once he is no longer acting. That might be jumping the gun plenty, because at the rate he’s going at now, he’s not going to stop for quite a while yet, and neither is his performance(s) in ‘Tron: Legacy’ doing him any harm. He is Kevin Flynn, the designer of The Grid, who went missing some years back after the events of the first film. Fast forward a couple of decades, and his son, Sam (Garrett Hedlund) is the one who is supposed to be in charge of his father’s company, ENCOM. Instead, he spends his time messing around on his bike and tripping up the current ENCOM executives. 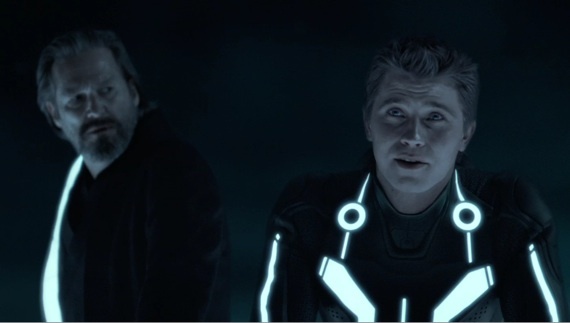 Being informed of a mysterious message at his father’s old arcade, he discovers a secret laboratory and is transported inside the Grid, where he meets a crazy version of his father CLU (Jeff Bridges), who’s intent on bigger and better things for himself in the Grid and beyond. Rescued by the beautiful Quorra (Olivia Wilde), or as I’m sure my London friends would say, QUORRA-BLIMEY, he’s led to his father Kevin. Together, they plot their escape from the Grid and the destruction of CLU. Metallica's new concert stage was massive. Getting back to Jeff Bridges for a little while longer, before I bang on about other things in the film, he struck me as a spirit of the 70s stuck in the modern day, a hippie with strong values expressing himself in the most ‘cool cat’ of ways possible. “We were building worlds down here…we were jamming, man,” he said, of the work he, Tron and Clu were up to at the time of The Grid’s inception. Later on, when the troubles started brewing a little more than was comfortable, he quipped, “You’re messing with my Zen, man!” That might not quite be the most accurate of recollections, but the gist, the spirit of the man is there for all to see. I wonder how much acting he actually did in this film (though he did look somewhat menacing as Clu), but I realise that I had a lot of fun watching him just be himself that I didn’t mind it too much. That’s little more than what I could say for Garrett Hedlund. What was it like to have seen Jeff Bridges when he first broke out, in the context of the time? I don’t quite know, but I suspect that in time, Hedlund will get better with more meat on the bone. I say that because I am not entirely impressed with his performance here. I suppose it is a lot to ask for, and it makes me wonder a little bit more about the tendency of Hollywood productions to cast first-time lead actors for big budget productions. A similar comment could be made for Olivia Wilde, but then again, the casting of such fresh-faced studs of today is not directly linked to acting ability, so to speak. That is still required, but commercial considerations is also a big factor, I suppose. Get a good looking pair in there, and see their beautiful faces as they fall in love with each other! As an aside, my good friend, some years older than me, considered the movie to be terrible. My little sister, an 18-year old college going student, implored me not to miss it. “A must watch!” screamed the message. I now know why. "No, son, we don't look like extras from Star Wars." I suppose a part of that was trying to make it accessible to the general public. 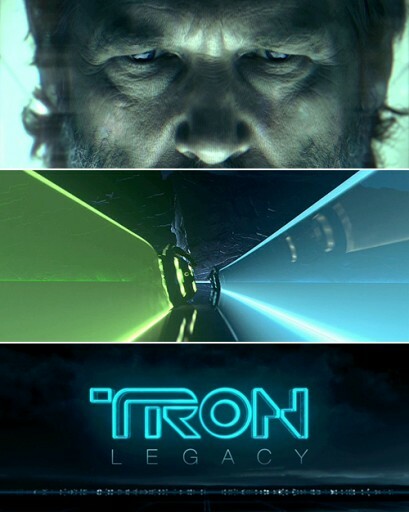 I was told that the original Tron did not appeal to a wider range of people. That’s the downside of trying to make money from a cult film, I suppose. In general, I don’t think that’s a big problem, although such dumbing down might have irked some of the people who made it a film worth reimagining in the first place (technically a sequel, but the length in between two productions made me feel as if Disney is also trying to reengineer a new brand of cool for itself. Does that make sense to you?). I do have to give credit to the cinematography, though. I watched the film, and I kept thinking about the light. That’s what hanging out and discussing cinematography with cinematographers does to you. The light source appeared to come from the suits of the actors themselves. It is an interesting challenge in a way, and I do think that the more traditional theories of lighting may not apply as much as they would for other, more conventionally-lit films. To me, it looked as if the key light came from the characters’ costumes, and that is an interesting challenge. Which leads me to the best part of the film. This film, without a doubt, is one of the most visually-striking films of the year. It came in near the tail end of last year, and so it could not qualify as a 2011 film, but even if it did, it would stand strongly, I think, against most. Once again, a novice director in Joseph Kosinski was appointed. It’s a big project, and I think that by and large, it was handled well enough. Of course, the story could be moved beyond conventional paths, and I could do without the somewhat obvious Christian references (Hollywood need to read more holy books…), but beyond that, it was exactly what I expected from such a film. It’s not a horrible film, neither is it a “must see”. It is, however, nice to have something match your expectations, for once. And it has Jeff Bridges. And Daft bloody Punk. Bloody cool. Fikri should have written this the night he saw the film itself. Why does he procrastinate so much?